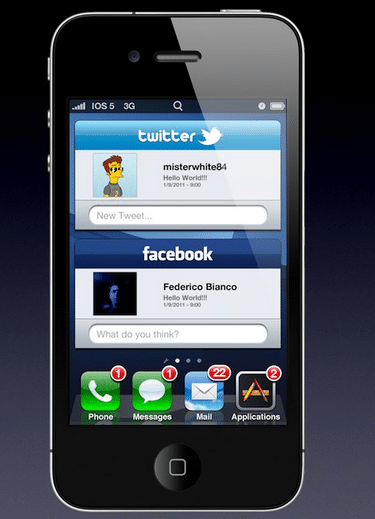 Checkthis nicely done slide show on iOS 5 concepts. You can get an idea on how iOS 5 might look. From there you can see how the widgets look, the Twitter App, and a nicely designed locked screen. Check the slide show to see all this and more!